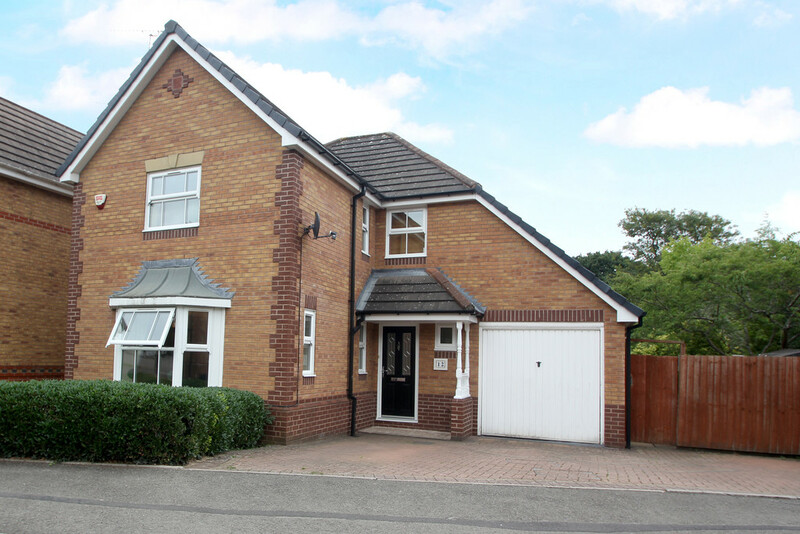 A fantastic opportunity to acquire a tastefully presented 4 bedroom detached property on the popular Banner Brook development. Benefitting from larger than usual garden, converted garage, Master bedroom with recently re-fitted en-suite plus an abundance of accommodation 6th set on this popular location convenient for road and rail links. 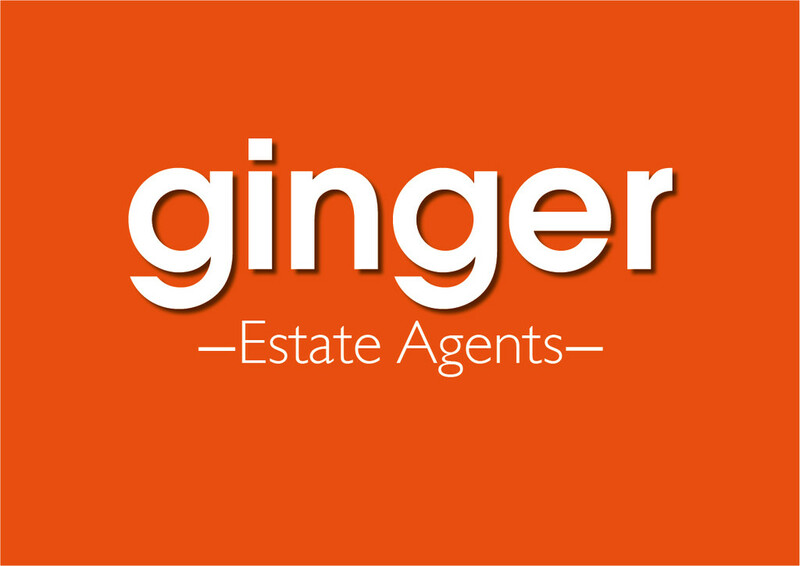 PROPERTY IN BRIEF A bright, spacious and comfortable family home set on the popular and sought-after Banner Brook development. 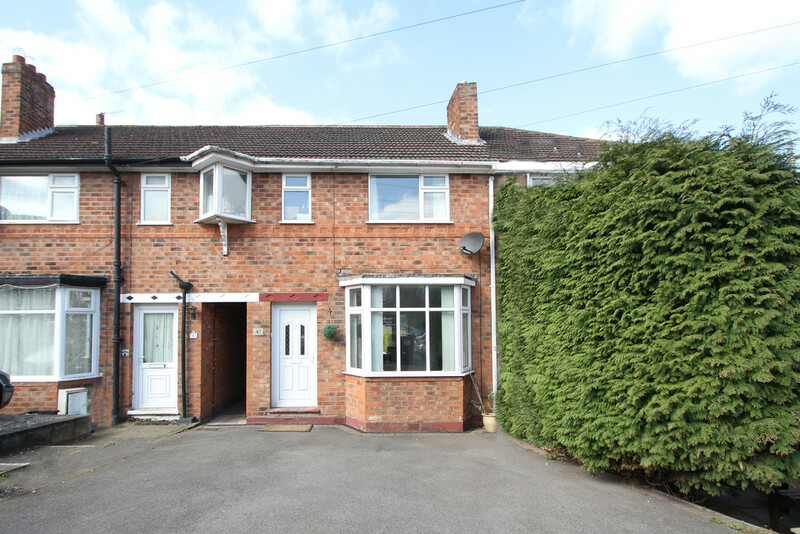 Ideally placed for easy reach to Tile Hill Rail Station linking Birmingham, Coventry and London. This home is perfectly located for Birmingham International Airport, main road links, Westwood Heath and Warwick University. The ground floor accommodation briefly comprises of spacious and welcoming hallway with downstairs cloakroom and W.C, spacious living room with dual aspect views and feature fireplace, well-equiped country-style kitchen with the benefit of separate utility area, family dining room with patio doors and a converted garage which makes a great family/kids room or could be turned back into a garage if preferred. Heading up the winding stairs you arrive at the landing which affords access to the Master bedroom, again with dual aspect views, built-in wardrobes and that all-important, modern en-suite shower room. 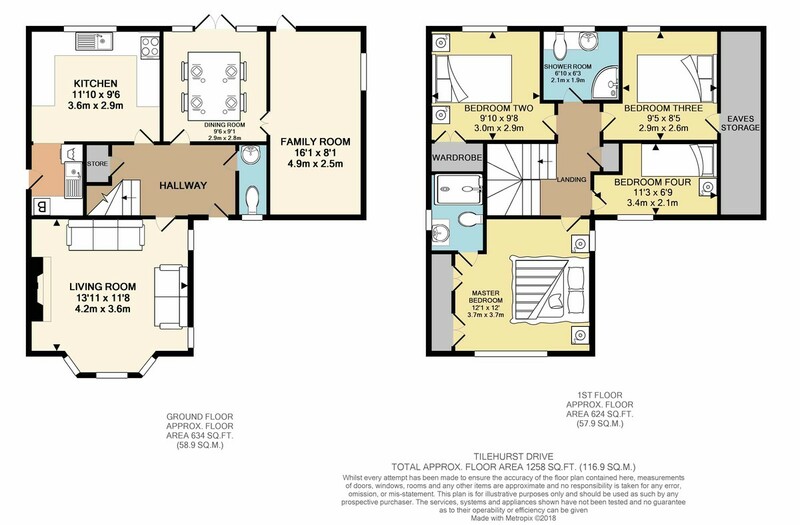 There are two further double bedrooms with storage plus bedroom four which could also be used as a study. 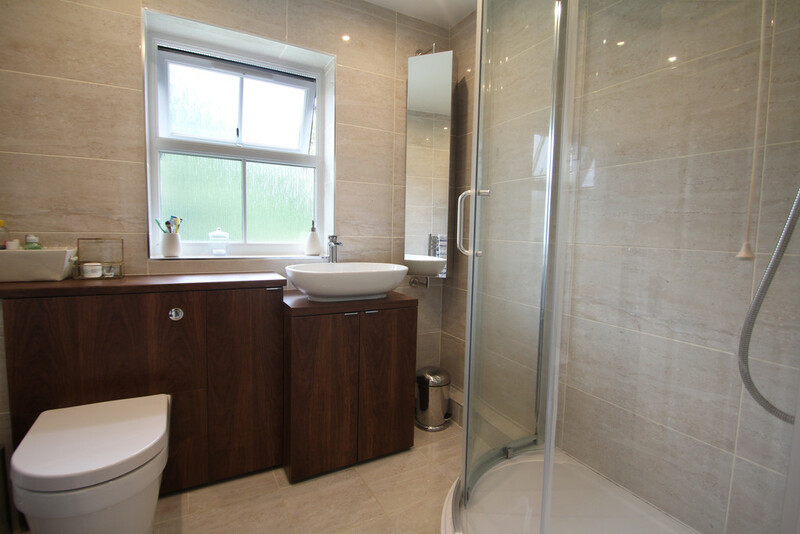 The family shower room has also recently undergone a refit matching the en-suite, ultra modern with beautiful vanity storage and stylish corner shower. 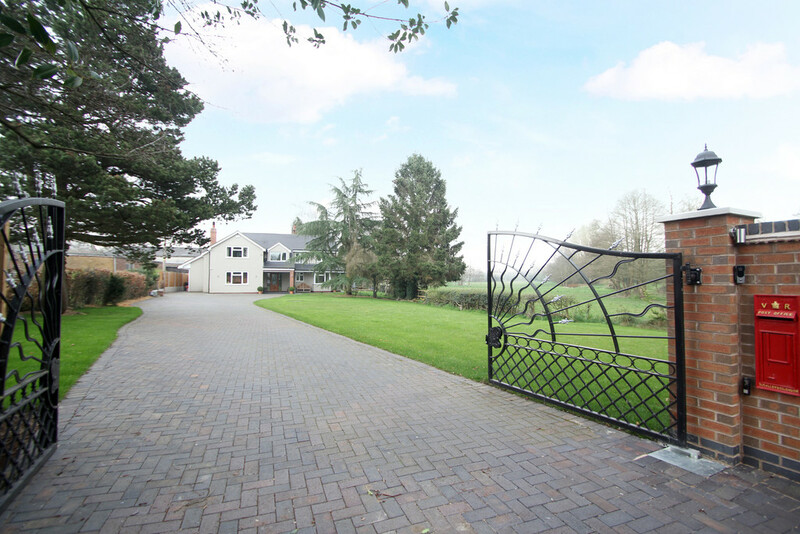 Outside space is simply amazing, very secluded and bigger than usual garden for this development. Having that extra space round the side for the large shed, plus gated foot access back to the driveway. The property benefits from off-road parking too. This is a superb family space. 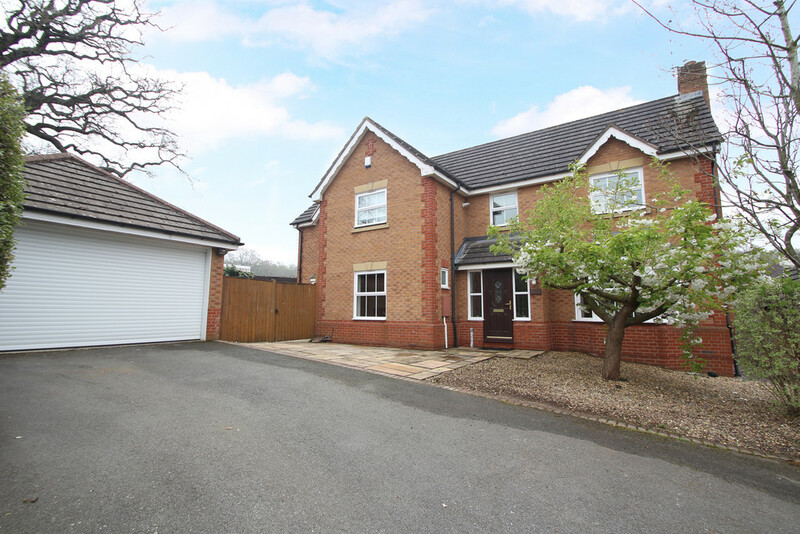 This is a great home, convenient location, pleasant development and spacious executive, family home with large garden. HALLWAY 13' 0" x 3' 3" (3.97m x 1,92m) Welcome into this beautiful family home where you will immediately feel a sense of space. The hallway has just been treated to a new, solid wood flooring to add an light and earthy feel. 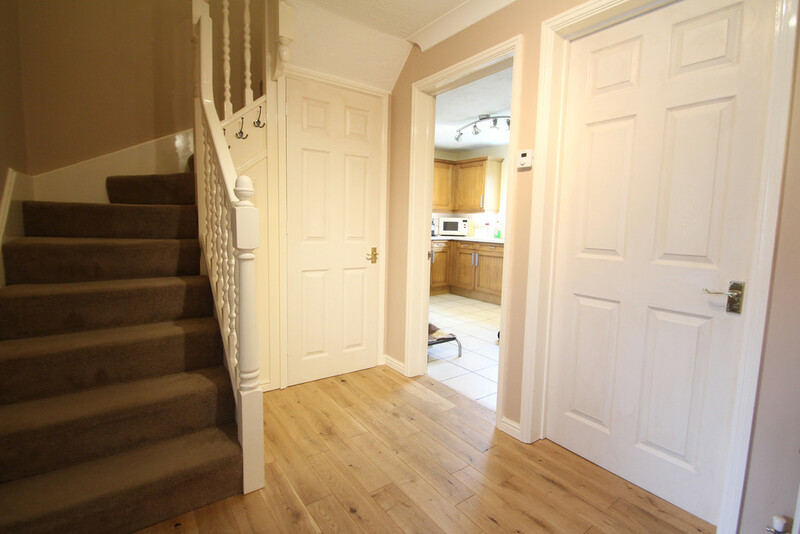 The hallway affords access to all the main rooms, staircase with handy under-stairs storage plus the all-important downstairs loo. LIVING ROOM 13' 10" x 11' 7" (4.23m x 3.55m) 4.27m into bay This room is a real delight, exactly what you should expect from a modern executive home. A fantastic family living room-spacious, brightly presented aided by triple windows and dual aspect views delivering plenty of natural light. The living room has a lovely bay window adding more floor space to this family focused space. Benefitting from real wood flooring and focal real-flame gas fire with stylish surround. There is a T.V point and double radiator. KITCHEN 11' 10" x 9' 5" (3.61m x 2.89m) The kitchen delivers a real homely feel, a country-style design with views out to the garden. A tranquil and inspiring environment for home baking. Offering a good selection of wall and base units with built-in Bosch oven and grill with 4 burner gas hob above. Provision for your dishwasher and space for American sized fridge/freezer. The kitchen's contrasting work-surface is surrounded by country-styled splash-back tiles and floor tiles keeping this kitchen easily maintained. 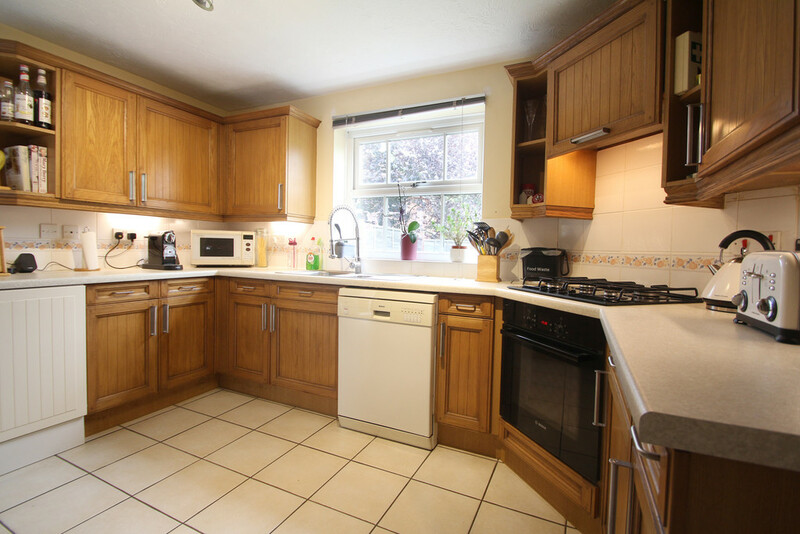 This kitchen offers a one and half size sink perfectly positioned with a garden view. UTILITY ROOM 6' 11" x 4' 9" (2.11m x 1.47m) A useful space, offering a selection of wall and base units, sink and provision for your washing machine and dryer. The utility is home to the Worcester Greenstar boiler that was installed in 2016. This utility has floor tiles and door to side elevation leading to the garden- perfect for hanging the washing out, or muddy kids. DINING ROOM 9' 6" x 9' 0" (2.9m x 2.76m) The dining room has recently been re-styled and offers great space for family size dining table. 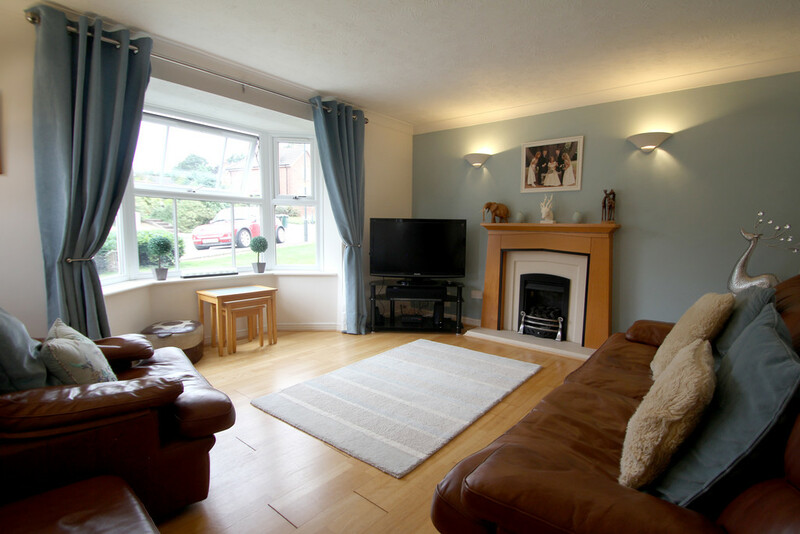 Beautifully presented with solid wood flooring and patio doors leading out to the patio and garden. Perfect for those sunny days entertaining with the door flung open and barbecue on the go outside. 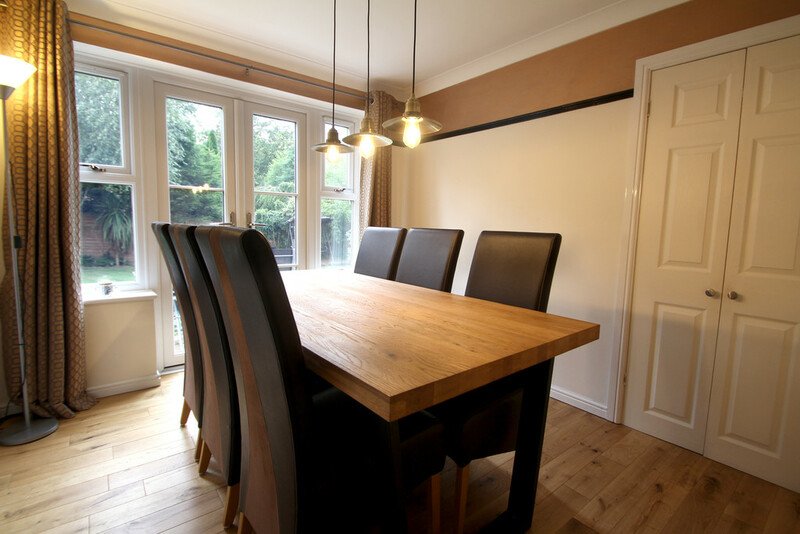 This is a lovely entertaining space whether for the family catch up or a more formal affair. DOWNSTAIRS W.C 6' 3" x 2' 8" (1.93m x 0.82m) Always handy at parties or with a busy household. Having a white suite comprising of W.C and 'Twyfords' wash-basin with chrome taps, radiator and small opaque window on front elevation. 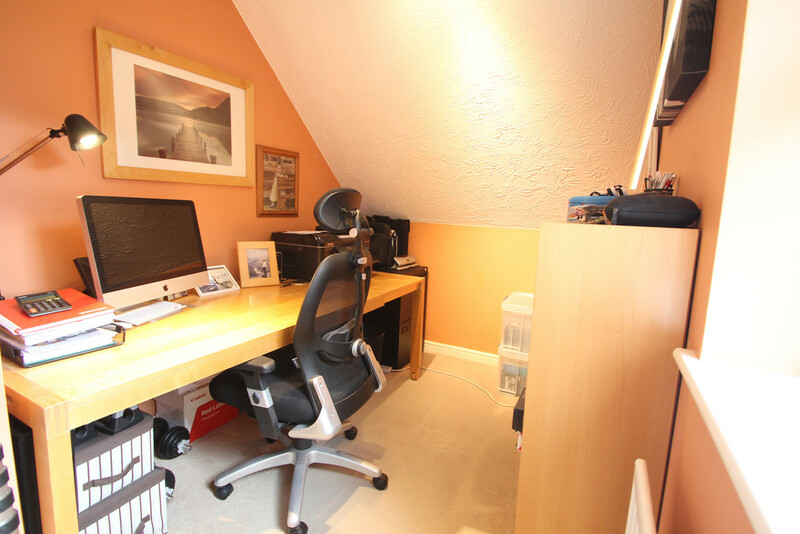 FAMILY ROOM 16' 1" x 8' 1" (4.91m x 2.47m) The garage conversion has been adapted to suite the business needs of the home owner as a hair-dressers. Offering rear access to garden plus window to side. 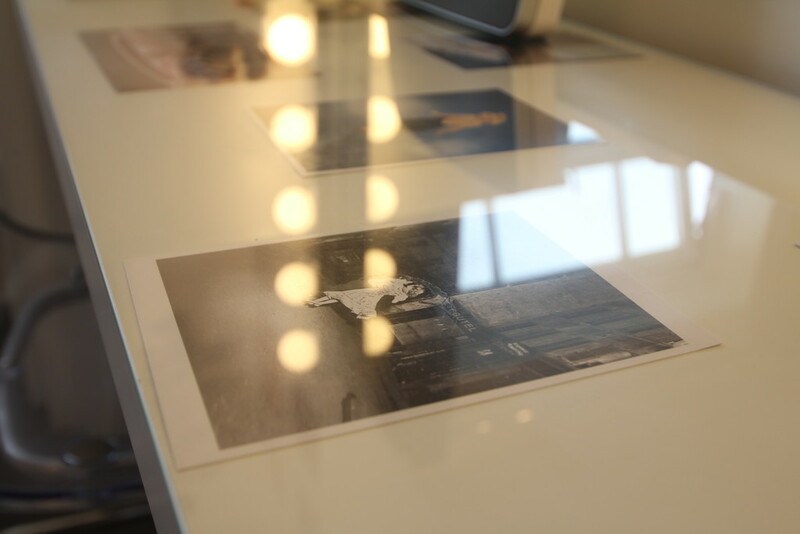 This space can be adapted to work as a family room/ reception, kids playroom or indeed perfect for working from home. Should you require a garage then this space could easily be converted back to it's original function. 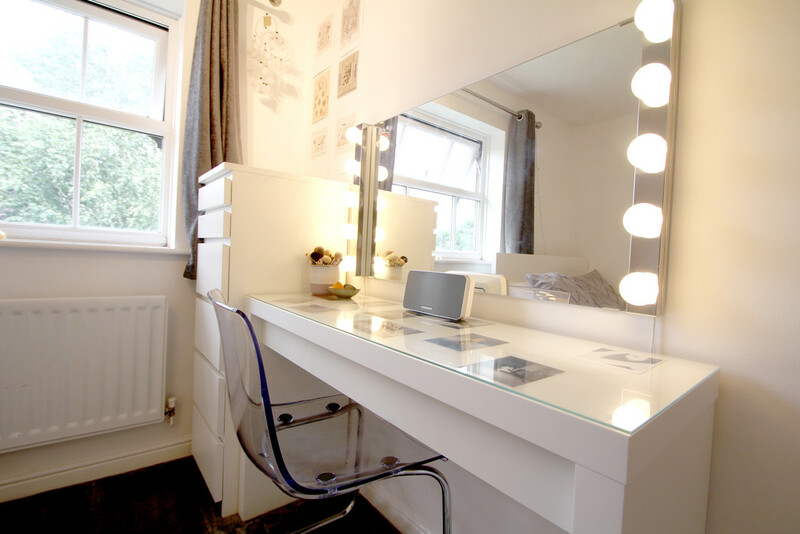 The room benefits from laminate flooring and double radiator. LANDING 8' 9" x 6' 10" (2.67m x 2.09m) The winding stairs lead you upstairs to the sleeping accommodation. The landing is a good size for those busy family rush-hours. 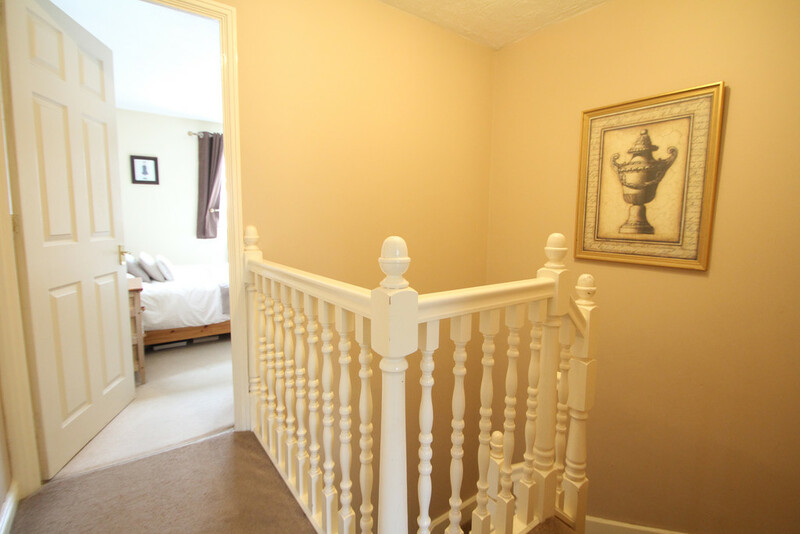 The landing offers storage space in the airing cupboard, access to the loft and smoke alarm. MASTER BEDROOM 12' 0" x 11' 11" (3.68m x 3.65m) Beautifully presented, spacious and bright. Having the benefit of dual aspect views which deliver plenty of natural light into this master bedroom. 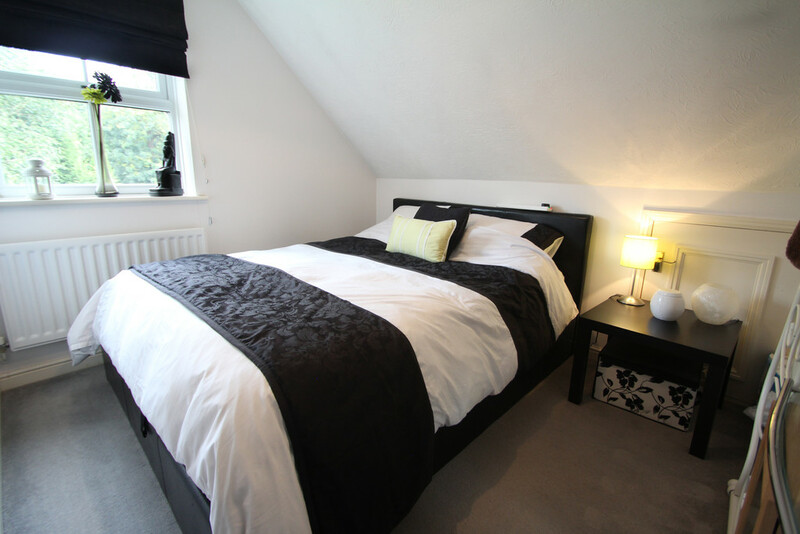 This good sized bedroom has the additional advantage of two double built-in wardrobes and radiator. Featuring a recently refitted en-suite shower room too. ENSUITE 6' 9" x 4' 9" (2.06m x 1.45m) This space offers everything we feel is important about the master en-suite. 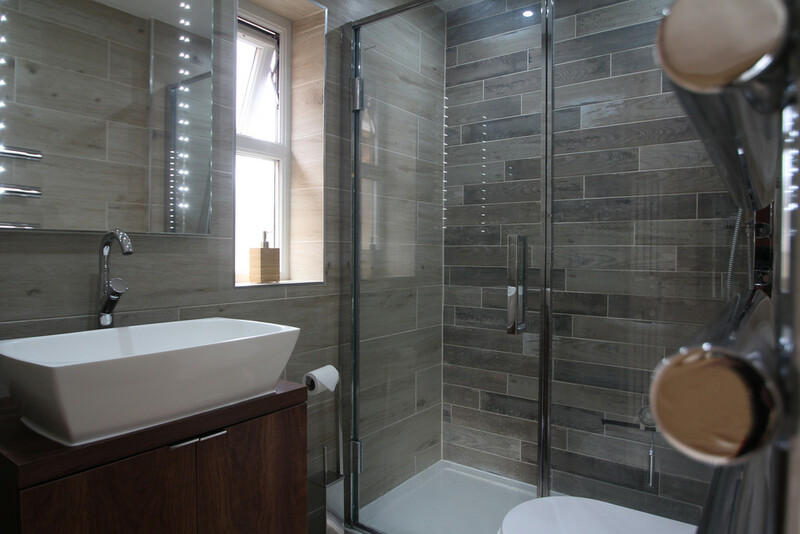 Large shower with hinged glass door, modern vanity with stylish wash-basin, shaving point, ultra-modern, tall heated towel rail, W.C and to finish off, log cabin style ceramic, wood-effect tiles covering the floor and walls. This is a beautiful room and a lovely way to start your day. BEDROOM TWO 9' 10" x 9' 7" (3.0m x 2.94m) White and bright with contrasting grey carpets and beautiful views over the rear garden through the large window. 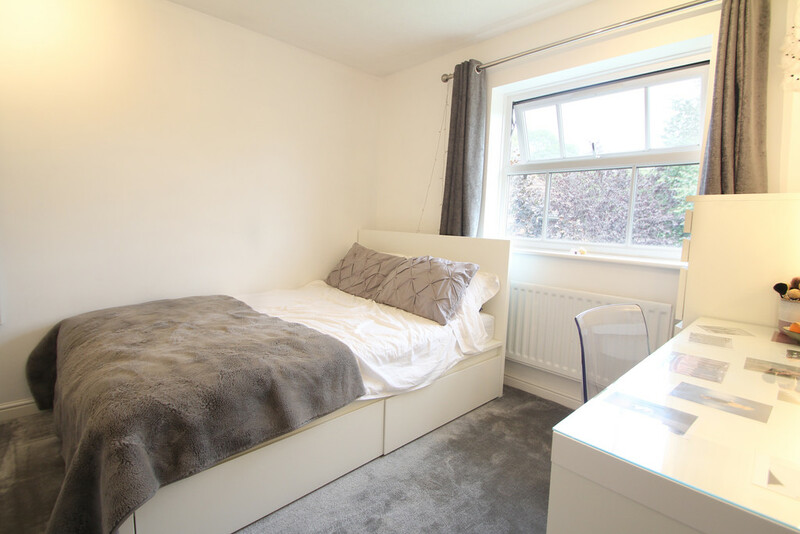 A spacious bedroom with plenty of floor area for large bed, surrounding units and desk space. A key feature to this room is the built-in double wardrobe. BEDROOM THREE 8' 4" x 6' 7" (2.56m x 2.01m) Neutrally presented with contrasting grey carpets keeping this room feeling bright and spacious. Having sloping roof line and the benefit of storage space in the eaves. 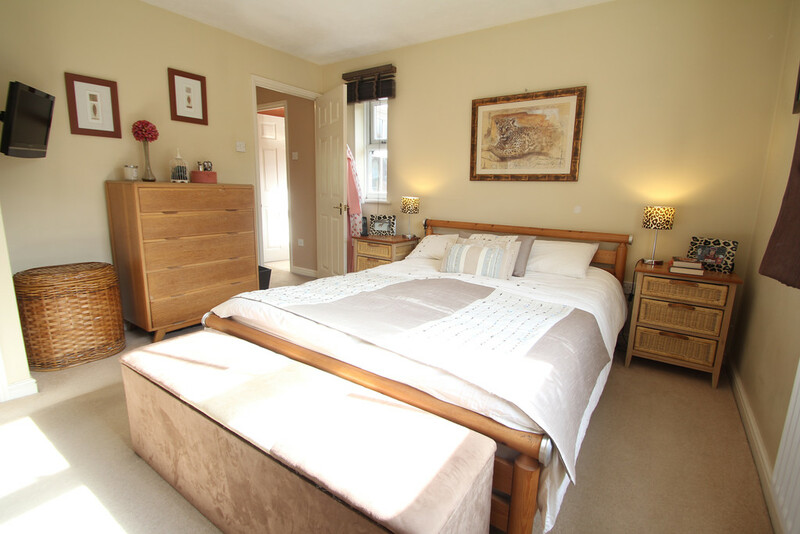 This bedroom offers a pleasant view over the rear garden. Single ceiling light and radiator. BEDROOM FOUR 8' 5" x 6' 9" (2.57m x 2.07m) Works well as a smaller bedroom or perfect should you require a study/office room. Located at the front of the house with views over the front driveway. SHOWER ROOM 6' 10" x 6' 2" (2.09m x 1.90m) A stunning family shower room. 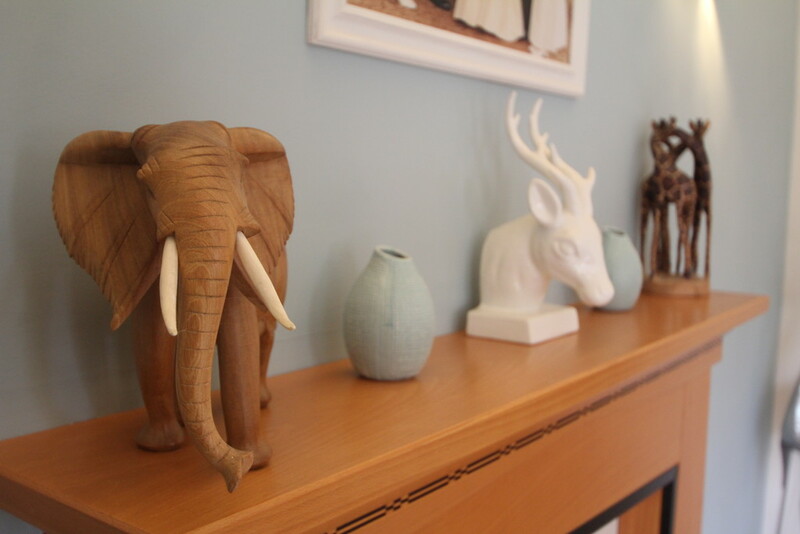 Having been recently refitted offering a stylish, modern suite. We especially love the corner shower having the benefit of rain shower head and handheld shower attachment, you know this will be a long morning shower. A clean white suite to include W.C, vanity units that match the en-suite with oval white wash-basin and waterfall chrome mixer tap. 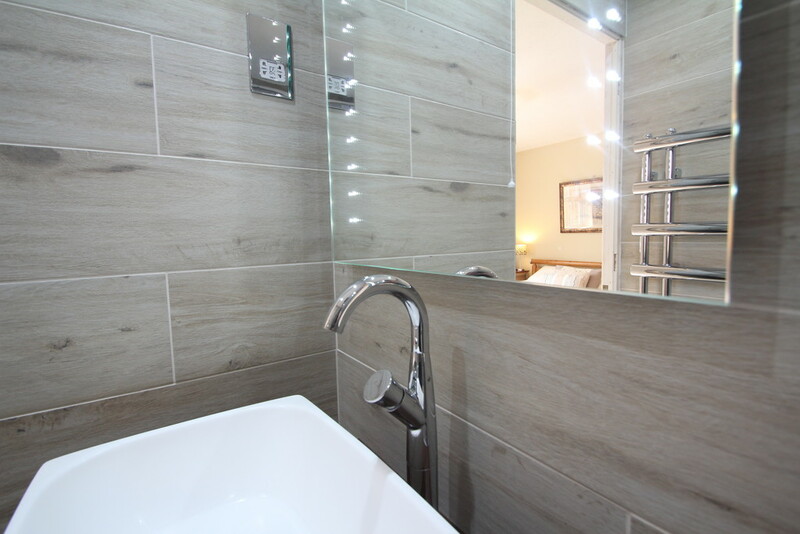 Beautifully tiled and offering heated towel rail, shaver point, LED ceiling lights, air vent and opaque window. This is a lovely, refreshing space and one to get your day off to a great start. 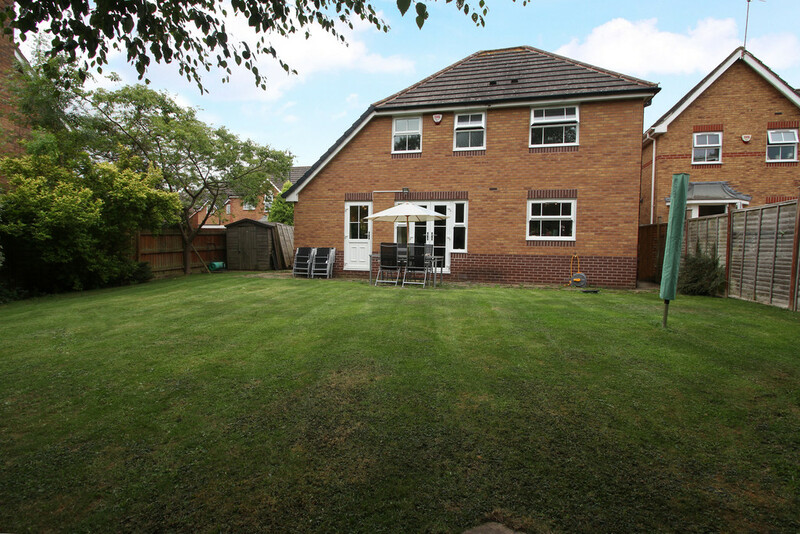 OUTSIDE SPACE You are going to love the outside space this home offers, perfect for a family home, safe and secure too for the younger members of the family. A larger than usual garden for this development having that extra space that wraps around the side. Patio area, large lawn area and side gate affording access to the driveway. The garden is very secluded and easterly facing. 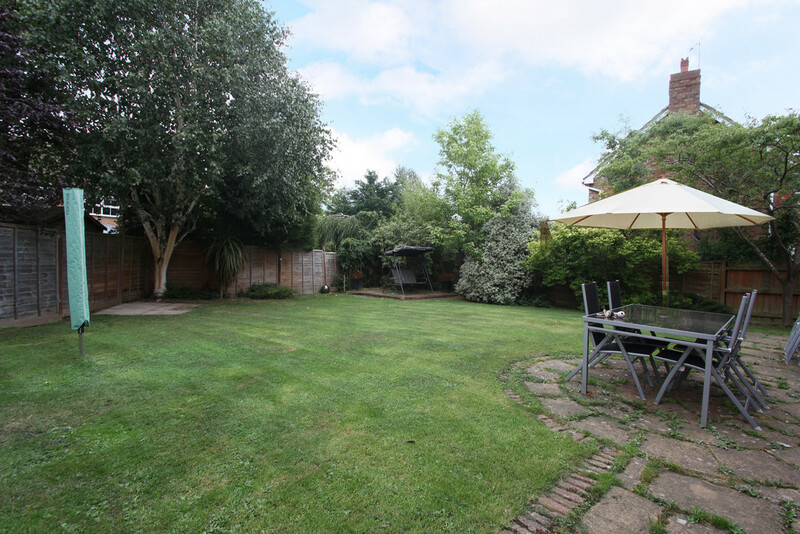 To the rear of the garden you will discover a raised patio area, perfect for catching the late afternoon sunshine. The side access runs around to the door leading from the utility area. This is a great outdoor space, perfect for this home and environment. We think this is a real party home, lots of outdoor space for barbecue, friends with easy access back into the house through the utility, dining room and family room. TECHNICAL We are advised this property is freehold, please seek confirmation from your legal representative. 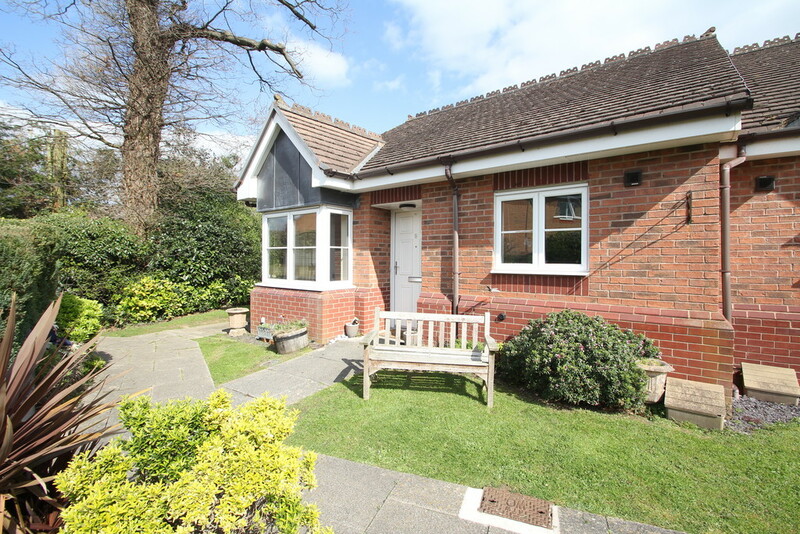 The property offers gas central heating and a Worcester Greenstar 38 CDi boiler.